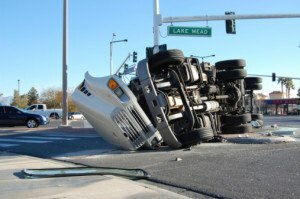 When Should You Contact a Truck Collision Lawyer in Chicago? Most of the time, drivers of smaller vehicles share the road with larger semi tractor trailers. There are risks that come with sharing the road with these types of vehicles and most drivers take caution when driving. Normally, that uneasy feeling in your stomach passes when you pass the semi. But your accident did not occur on one of these “normal days” and it changed your life forever. When you are considering filing a lawsuit, a Chicago truck accident lawyer at Kurasch & Klein can help. CALL 312-372-7250 OR CONTACT KURASCH & KLEIN HERE – THERE’S NEVER A CHARGE UNTIL WE WIN! Who Determines Fault in a Semi Accident? The police reports and eye witness accounts help the authorities and your insurance carrier determine who was at fault in your accident. If you have been injured, but are not sure what compensation you may be entitled to, contact Kurasch & Klein to assess your case. Any of these reasons warrant a closer look at a lawsuit with Kurasch & Klein. Our Chicago lawyers are here to help after a truck accident, and can help you sort through the details and assess your case immediately. We will be here with you, from start until finish, to help you fight for justice. 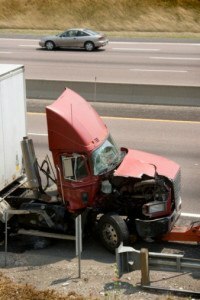 What Should I Do After an 18-Wheeler Crash? Move to the side of the road. Most accidents involving large trucks happen on a highway or freeway. If possible, move as quickly as you can to avoid further damage to yourself and vehicle. Assess for injuries. Unfortunately, because of their size, semi trucks have the potential to cause a greater amount of damage than a smaller car. Call the police, file a report and see a doctor to get your injuries examined. Internal damages are almost impossible to identify without seeing a doctor. Let your insurance carrier know about the accident. When all of that is completed, contact Kurasch & Klein, your local Chicago trucking accident attorney. You had no choice between whether or not to be involved in the accident, but you have power over your situation now. Enlist the help of a Chicago trucking accident lawyer at Kurasch & Klein and you will get a team that is dedicated to helping your fight for justice. Fight back against the people who have caused you to sustain these life-changing injuries. Contact us today to discuss your case.